Two families of spiders, the Websters and the Silksmiths share the attic in an old, Victorian house. 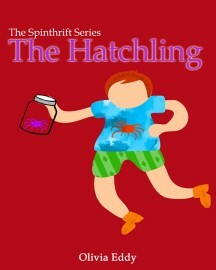 Harry Silksmith, the arrogant father and his wife Spinera are stricken when their baby is born missing one appendage. The two families join forces to find the eminent Dr. Threads. This brilliant scientist lives in the basement and may be able to help the hatchling. The Silksmiths and Websters must overcome their differences and battle the many adversities they encounter.